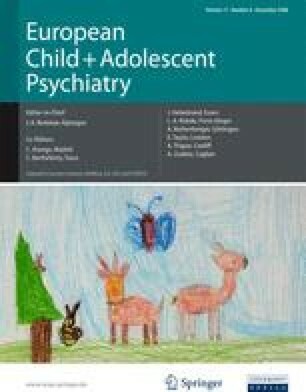 In the present study we investigated phenotypic agreement between informants (parent, teacher and child self-report) on ratings of autistic-like traits and compared the genetic and environmental aetiologies of the informants’ ratings and of their covariance. Parents and teachers of >2,500 pairs from a community twin sample completed an abbreviated Childhood Asperger Syndrome Test (CAST). The twins also completed an adapted self-report version of the CAST. Structural equation model-fitting was carried out. Correlations between raters were significant but moderate (0.16–0.33). The magnitude of heritability estimates of autistic-like traits varied across raters, being highest for parent-rated autistic-like traits (82–87%) and more modest for child self-reported autistic-like traits (36–47%). Genetic overlap was significant but moderate across all raters. These findings are discussed in relation to population screening for autism and future genetic research. We are indebted to participants of the Twins Early Development Study (TEDS) for making the study possible. TEDS is funded by MRC grant G0500079 and has IRB approval. AR was funded by an Autism Speaks fellowship during this work and partially funded by grants MRC NIA G0400341 and G0300188.